United States ex rel. Daniel Sypula v. AmerisourceBergen Corp.
Daniel J. Ratajczak, Jr., et al. v. Beazley Solutions Limited and Land O'Lakes Inc v. Packerland Whey Products Inc et al. that remains after the removal of curds, is rich in protein. Two Alabama pharmacists have been sentenced to 12 and 10 months in prison for their roles in the distribution of adulterated drugs, which were compounded at the now-defunct compounding pharmacy Advanced Specialty Pharmacy doing business as Meds IV. Ron A. Fiorini (Fiorini), a 23-year-old college student at Fresno Pacific University, was shot to death by police on October 5, 2010, after drinking two 23.5-ounce cans of Four Loko. John Coleman v. Medtronic, Inc.
sickened hundreds and killed 33. 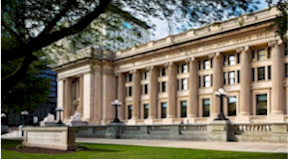 25 Barbara Izzarelli brings claims against defendant R.J.
27 Connecticut Products Liability Act (â€œCPLAâ€�), Conn. Gen.
United States of America v. Melvin David Towns, Jr.
1. Sam Johnson is the surviving spouse of Martha Bea Johnson who lived together as husband and wife in Comanche County, Oklahoma. Norman Norris v. Premier Integrity Solutions, Inc.